How do I enable the MBB300C for use on my Garmin One helm? Maretron's MBB300C can be used as a web server that can stream N2KView to a Garmin One Helm Enabled display. You will need to connect directly to any one of Garmin OneHelm capable displays. To start connect the MBB300C's DC power, keyboard/mouse, VGS/HDMI display, and the RJ45 (ethernet) port directly to the Garmin ethernet port using a standard Ethernet cable(do not use a crossover cable). 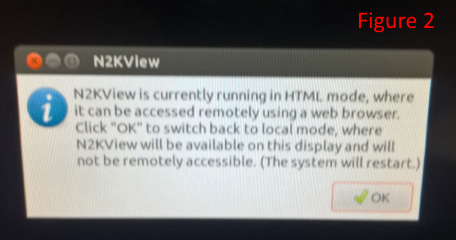 In order to initialize the MBB300C and show N2KView on the Garmin OneHelm MFD, you first you must enable Remote HTML Access in N2KView once started. 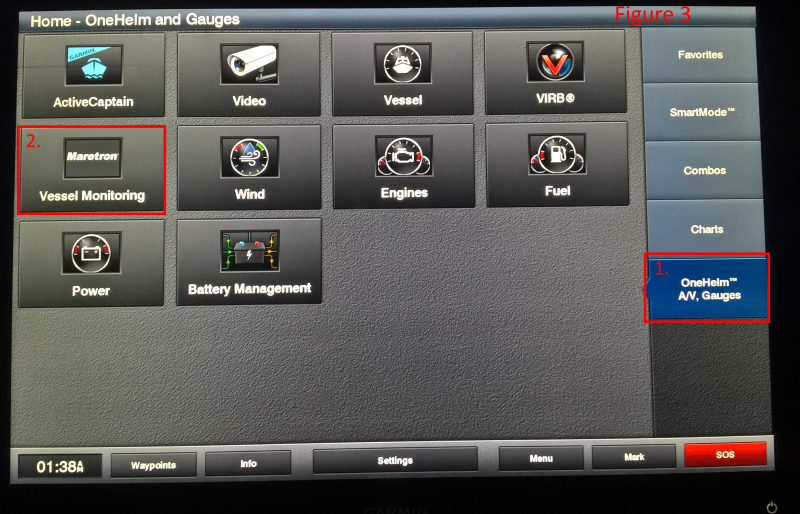 On the Garmin One Helm MFD: go to Menu and choose the "One Helm" (step 1 in Figure 3) button. Now locate the Maretron logo (shown in step 2 in Figure 3.). Posted - Mon, Oct 15, 2018 9:12 PM. This article has been viewed 629 times. What are the voltage specifications for each Maretron device? What Firmware changes have taken place on the Maretron MBB300C? How do I extract Maretron Telemetric Cloud Service data using N2KExtractor? How do I set up My Maretron Telemetric Cloud Service? I do not see video within N2KView Camera Setup; what does this mean? What are the latest changes to Maretron’s N2KView? I see that the DCR100 has a configuration feature called Operating Mode, What does this mean? What type of information can be viewed on Maretron’s display products, and what products are required to generate the data to be displayed? Which Martron products work with the ALM100? Copyright© 2014 Maretron, LLP. All rights reserved. Visit Carling Technologies, a partner company.